As an only child, I think reading about the dynamics of sisters is incredibly interesting (it's that whole "grass is greener" idea). 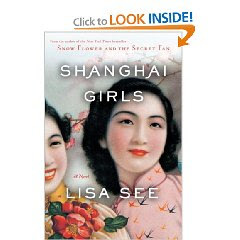 In Lisa See's newest novel, sisters Pearl and May are "beautiful girls" (read: models) living a luxurious life in pre-WWII China. After their father loses all of his money due to gambling/Chinese mafia, he is forced to marry off his daughters to Americans, much to the girls' dismay. About 2 days after the weddings, Japan begins to invade/bomb parts of their beloved city, forcing the sisters to flee to their husbands in San Francisco. 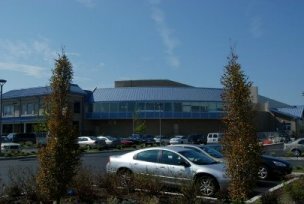 The rest of the novel depicts their turbulent relationship as well as their trying times in America as they adjust to a completely new family, culture and way of life. Overall, I did enjoy this book, although the ending was a little rushed.